The projected shortfalls have grown by 48% and 25% since the last annual forecast and now equate to 7% 14% of the respective budgets. BEIS says there are a number of government policies and proposals which have not been sufficiently developed to be incorporated into the forecast. It says the shortfalls would be 109 and 165 MtCO2e if these were taken into account. 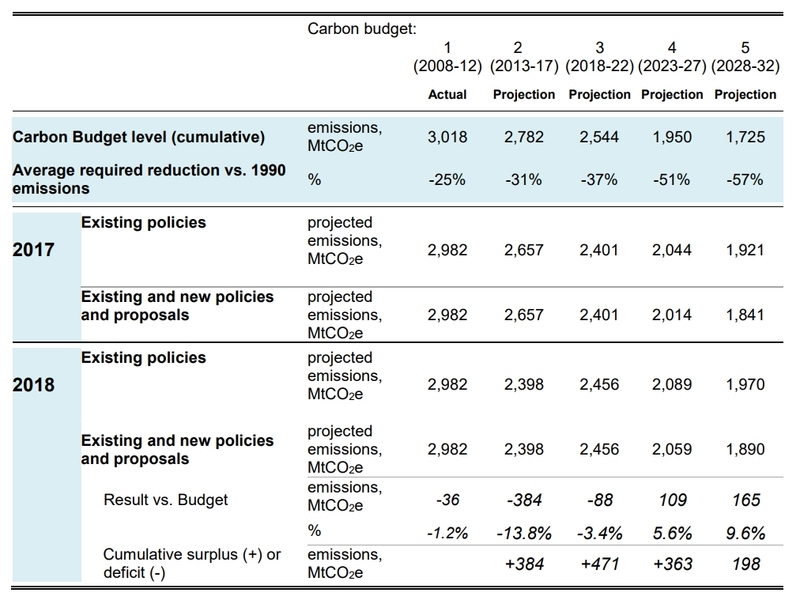 The UK has already met the first and second carbon budgets with respective surpluses of 36 and 384 MtCO2e. 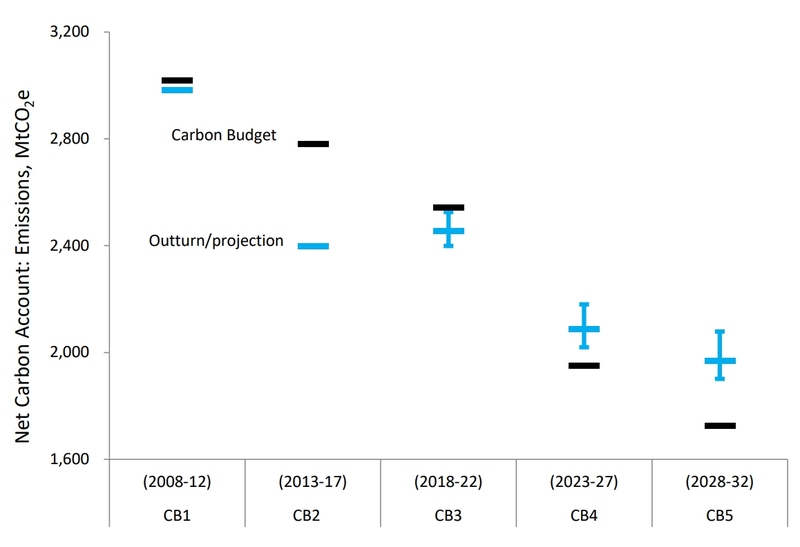 BEIS has predicted an 88 MtCO2e surplus for the third carbon budget covering the years 2018 to 2022. The Committee on Climate Change wrote to energy and clean growth minister Claire Perry in February to advise her against rolling over the surplus from the second carbon budget to subsequent accounting periods. The climate watchdog said this would make it “more difficult and expensive for the UK to meet its long-term targets. BEIS has also predicted that the power grid will be completely coal-free by the “early 2020s”. The government has vowed to phase out all unabated coal generation by 2025.